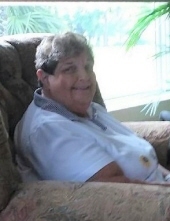 Peggy Lee Montoney Neale, age 79 years, a former resident of Elkins, WV and more recently a resident of Moyock, NC where she made her home with her daughter, Cathy Vermillion departed this life Saturday afternoon, February 2, 2019 at her home surrounded by her loving family. She had been in declining health. She was born Tuesday, November 28, 1939 at Elkins, WV a daughter of the late Rockwood and Dorothy Rose Lowery “Tillie” Montoney. Surviving are one son, David Walter Friedline of Kerens; two daughters, Cathy Vermillion and husband Greg of Moyock, NC, Sherry Lee Hale of Kill Devil Hills, NC; one sister, Betty Louise Dickey and husband Mike of Dataw Island, SC; four grandchildren, Samantha, D.J., Mark, and Justin; and two great grandchildren, Ronan, and Madison. Preceding her in death are one brother, Rockwood “Rocky” Montoney, II; and one sister, Nancy Carol Collett. Peggy was a graduate of Elkins High School with the Class of 1958, had worked with her parents at the former “Jack & Jill Store” in Elkins and retired as the Office Manager for Companion Care of Elkins after twenty-five years of service. She was a member of the Davis Memorial Presbyterian Church, had joined and enjoyed being a member of the YMCA in Moyock, NC after moving to North Carolina in July of 2017 and enjoyed shopping. To send flowers or a remembrance gift to the family of Peggy Lee Neale, please visit our Tribute Store. "Email Address" would like to share the life celebration of Peggy Lee Neale. Click on the "link" to go to share a favorite memory or leave a condolence message for the family.